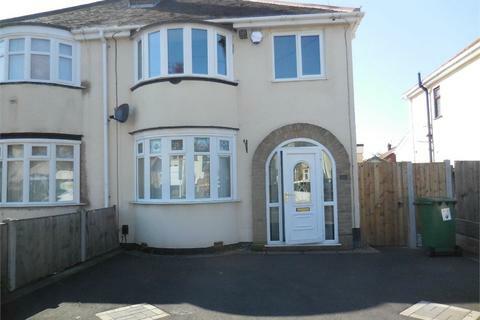 Braitch Estate Agents are pleased to offer this three bed detached house situated in a pleasant cul-de-sac location. Comprising entrance hall, lounge, dining room, kitchen, three bedrooms, bathroom. This property also benefits from having block paved front driveway leading to the garage & private rear garden. Applicants for rental properties are charged a non-refundable fee of £75.00 for each tenant over the age of 18 for credit reference checks. A holding fee of 6 weeks of the properties rent will also be required. Double glazed bay window to the front, real flame gas fireplace with decorative surround, radiator, t.V. Point, door to entrance hallway, door to dining room. Fitted kitchen with wall and base units, double glazed window to the rear, stainless steel sink and drainer, work surfaces with tiled splash back, integrated electric oven, gas hob, integrated cooker hood over, integrated washing machine, integrated fridge, radiator, door to storage cupboard, door to rear garden. Two double glazed windows to the front, built-in storage cupboard, radiator, door leading to first floor landing. Double glazed windows to the rear radiator, door leading to first floor landing. Double glazed window to the rear, radiator, door leading to first floor landing. Double glazed window to the side, panel enclosed bath with shower over, wash hand basin, low level W.C., part tiled walls, heated towel rail, door leading to the first floor landing. Up and over door, power and light, wall mounted boiler, door to the rear garden. Block paved driveway providing ample off road parking leading to the garage, path to front door, gate to side providing access to the rear garden. Panel enclosed rear garden, patio area leading to lawn with decorative shrub borders, garden shed, gate to side providing front access, door to garage. Property reference 00054. The information displayed about this property comprises a property advertisement. OnTheMarket.com makes no warranty as to the accuracy or completeness of the advertisement or any linked or associated information, and OnTheMarket.com has no control over the content. This property advertisement does not constitute property particulars. The information is provided and maintained by Braitch Estate Agents - Wolverhampton. Please contact the selling agent directly to obtain any information which may be available under the terms of The Energy Performance of Buildings (Certificates and Inspections) (England and Wales) Regulations 2007 or the Home Report if in relation to a residential property in Scotland. Three bedroom semi detached property with fitted kitchen, lounge with electric fire, dining room, fitted bathroom with shower over bath, rear garden. Gas central heating, secondary glazing and off road parking.